The guys warn Scott about his thinking and then provide a handful of recommendations on how he can get more appointments in his markets. GWC Warranty is now offering Elite Dealers a free 30-day trial to access video email marketing platform Covideo, which allows dealers to create and track video email marketing messages for customers. Why Nudge.ai? Reach out to the decision makers at Covideo with a personalized email - let them know that you found their recent news mention interesting. Nudge.ai’s relationship intelligence platform can help you find the right executive to reach out to at Covideo, such as Dustin Baumis, Video Email Account Manager, or Ed Mugg, Founder. Then get in touch and start a conversation. Executives can be difficult to reach, but every company has connectors who bring together people and ideas. At Covideo, people like Mike Delong, and Jason Price are likely connectors. 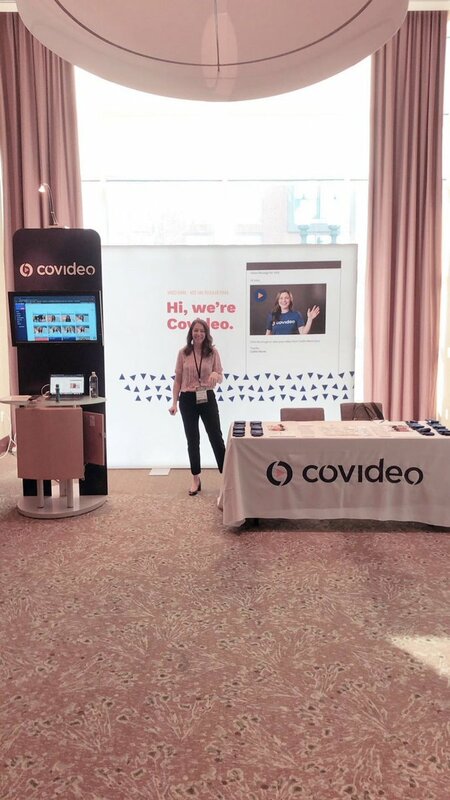 Come and meet our #Covideo team at the #CMC2019 in Boston, MA! Employees who are often in the news are usually open to starting conversations or exploring ideas. Nudge.ai's sales AI saw Jason Price, and John Simpson from Covideo recently mentioned in the news. Should You Outsource Your Sales Reps? Find out the pros and cons of complete outsourcing, certain functions of the SDR role and building in-house SDR team. Choose the best for your business. TSE 944: Sales From The Street: "Video Cold Outreach"
On today's episode of Sales From The Street, John Simpson, Director of Business Development at Covideo, talks to us about the value of video cold outreach. Who in your network can introduce you to Covideo? Nudge.ai finds the best pathway to reach contacts at this company.